You play as a depressed guy that wants to suicide by going under water as deep as possible in the ocean. 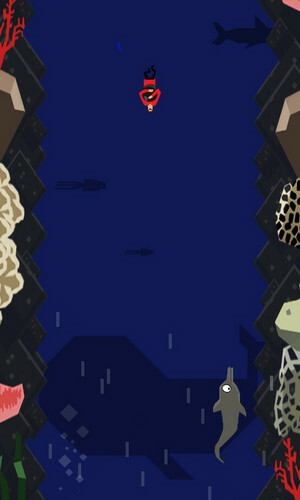 Infinite runner where you have to go deeper and deeper to have the best score and get some diving upgrades! It has been made in 2 months at IEFM3D (Montpellier, France). PC : Unzip and play ! Android : Copy and install on your device !